As #DayZero approaches, some Capetonians continue to maintain their usual lifestyles while others are finding new and ingenious ways to deal with the city’s water crisis. In both cases, they may be in violation of either new water restrictions or old water by-laws. The use of boreholes and the water extracted from them is a particularly sticky issue. By REBECCA DAVIS. With #DayZero – when residential taps are cut off – now virtually certain to arrive in Cape Town by April, the temptation to fill water containers and tanks in advance with tap water is high. But it is also illegal, as City of Cape Town water tzar Xanthea Limberg reminded Daily Maverick in October last year. The City encourages residents to store up to five litres for “drinking and basic hygiene”, but no more than that. By now this should be well known, but a glance at photographs of brimming swimming pools in Cape Town’s property ads suggests that it is still constantly being violated. You are now not allowed to fill up swimming pools from any municipal source, regardless of whether you have a pool cover or not. The City also strongly discourages the use of borehole water to fill pools even if you have your own borehole – and if you don’t, there’s more on the legality of privately procured borehole water below. As such, some of the only legitimate ways of currently keeping swimming pools full would be to use seawater, water from a rainwater tank in your garden, or industrial (non-potable) water which has been whacked with nuclear quantities of chlorine. A plethora of businesses have sprung up, advertising their services on websites such as Gumtree, offering borehole water – or water of undisclosed provenance – for sale to fill up swimming pools in particular. The vast majority of these transactions are illegal. Water derived from private boreholes may not be sold commercially without the approval of the relevant water services authority, as Section 22 of 1997’s Water Services Act makes clear. Some of these businesses try to circumvent the legality aspect by advertising the water as free and explaining that the cost comes only from the transport bill – evidence that they do not have the required licences to sell water. Buying water from these sources is not just dodgy but also unethical, since boreholes extract water from groundwater resources which are needed by everyone. Just because you have a borehole on your land does not mean you can do as you please with the water. The apartheid-era Water Act said that “the sole and exclusive use of enjoyment of private water shall vest in the owner of the land on which such water is found”, but those days are gone. The 1998 National Water Act did away with that, defining water as a “national resource”. That brings us to the process of drilling a borehole in the first place. An application to sink a borehole has to be made to the City 14 days prior to installation, and may subsequently require an inspection and the installation of a meter to measure the amount of water being withdrawn. If your application is successful, you then need to register the borehole and erect signage to the effect that your household uses borehole water. 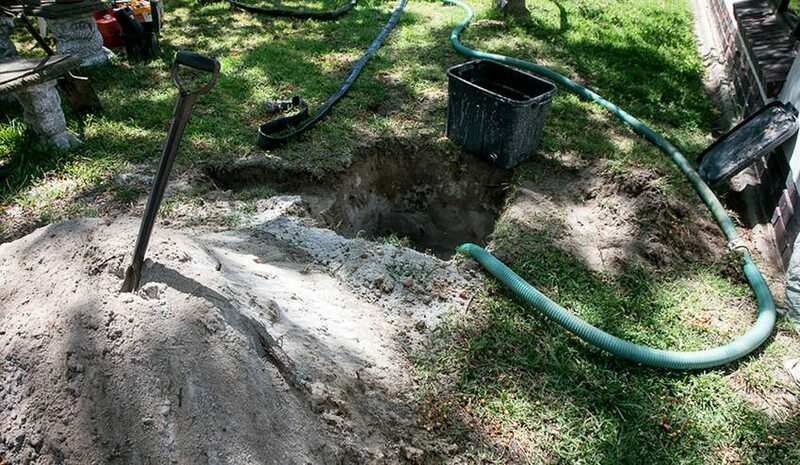 A number of private businesses are offering to install underground water tanks in residential gardens, rather than above-ground tanks, to conserve space or comply with building codes. But the City’s 2011 Water by-law begs to differ, prohibiting the installation of underground tanks unless they are made of concrete. Photo: A well point is installed at a suburban home in Cape Town. Photo: Shaun Swingler.